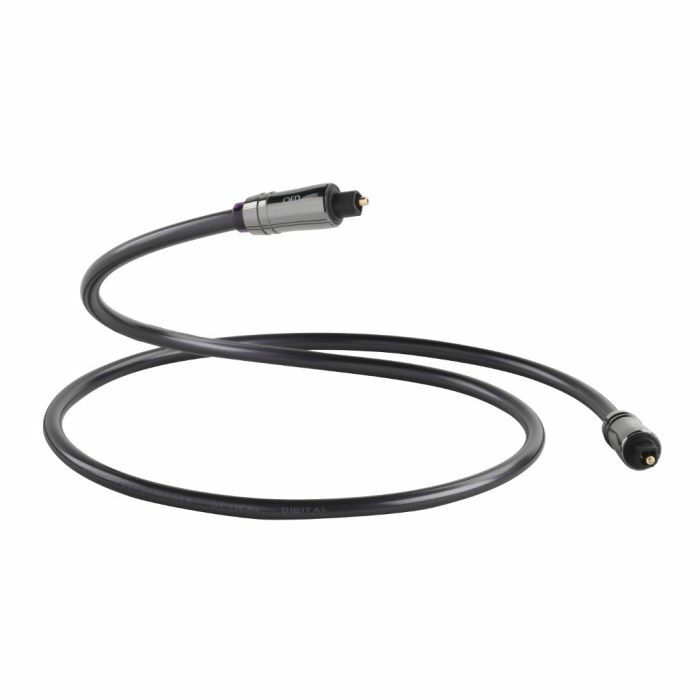 The award winning Performance Graphite Optical cable allows you to experience superior sound quality when connecting DAC's, TVs, CD players and Blu-rayTM players to amplifiers or receivers. Performance Optical uses a polymethyl methacrylate (PMMA) acrylic glass optical fibre to comfortably transmit the higher bandwidth signals demanded by today's multi-channel digital audio links. The cable is optimised for a 'very low jitter' design to reduce digital errors, making for a cleaner audio data transmission. Here at QED we are so confident about the performance of our product that we offer a lifetime guarantee. The new, award winning 'Performance Graphite' Optical cable utilises the superior PMMA acrylic glass optical fibre previously only available in our 'Reference' range products. The new optical fibre boasts half the signal attenuation per metre of the previous model, which means 'Performance Graphite comfortably transmits the higher bandwidth signals demanded by today's multi-channel digital audio links. The cable features a stepped refractive index core that together with precision cladding techniques minimises light absorption and modal dispersion of single mode optical signals at the fibre boundary. This reduces the angle of incidence at which total internal reflection occurs so that more rays can propagate along the cable, which in turn makes for decreased jitter and improved audio data transmission.